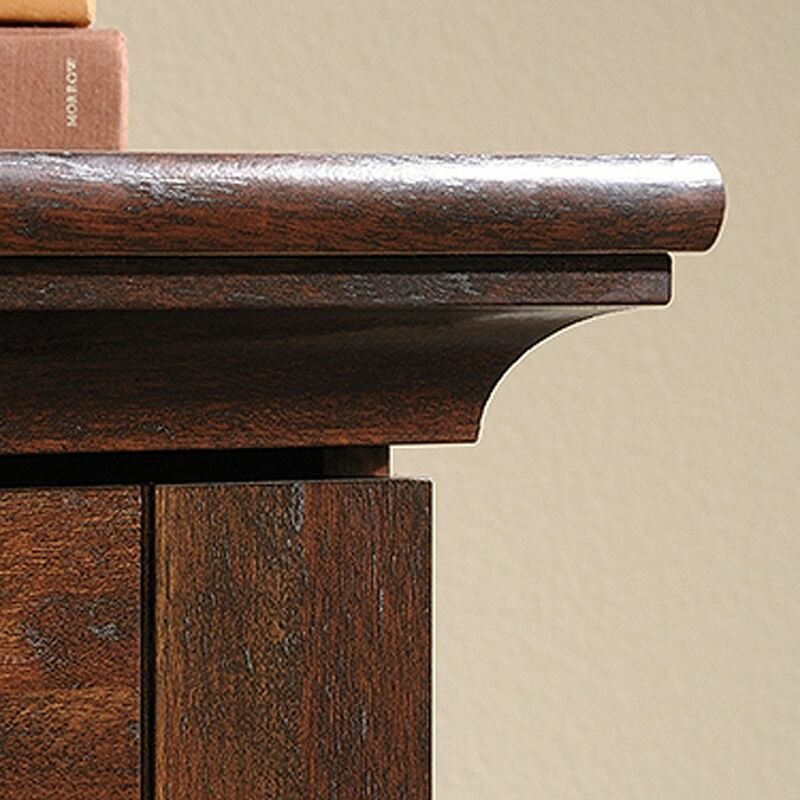 Harbor View Night Stand Curado Cherry By Sauder. 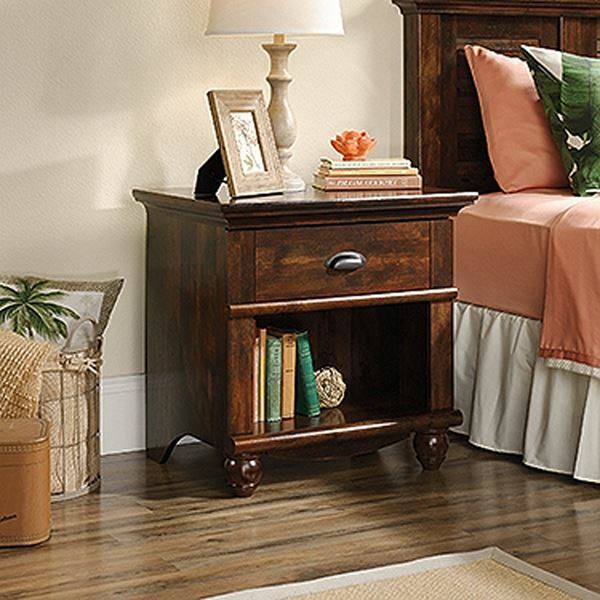 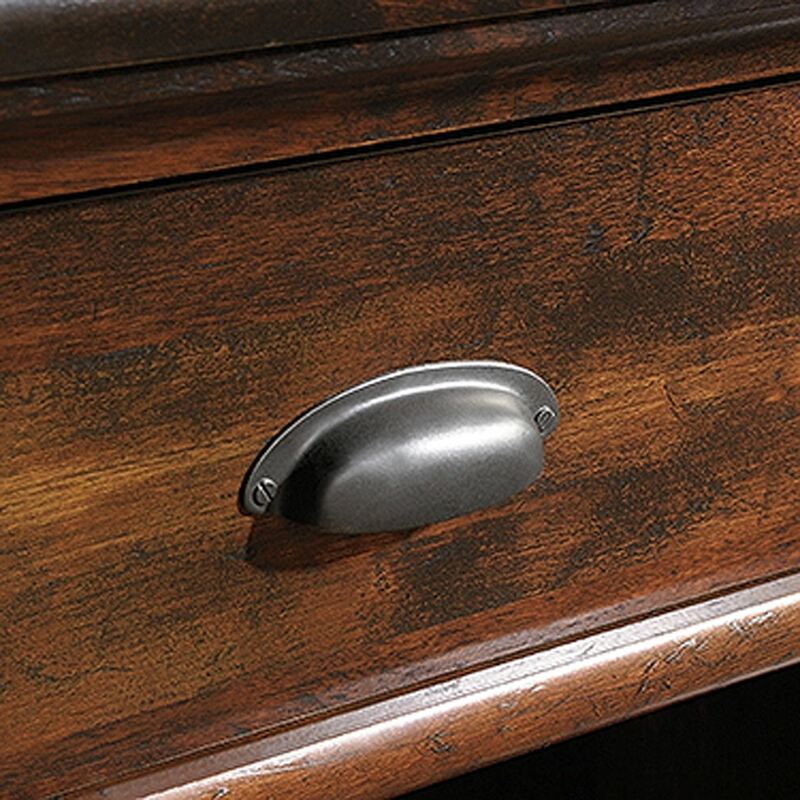 Sit back and relax by creating a cozy seaside look with this Harbor View night stand. 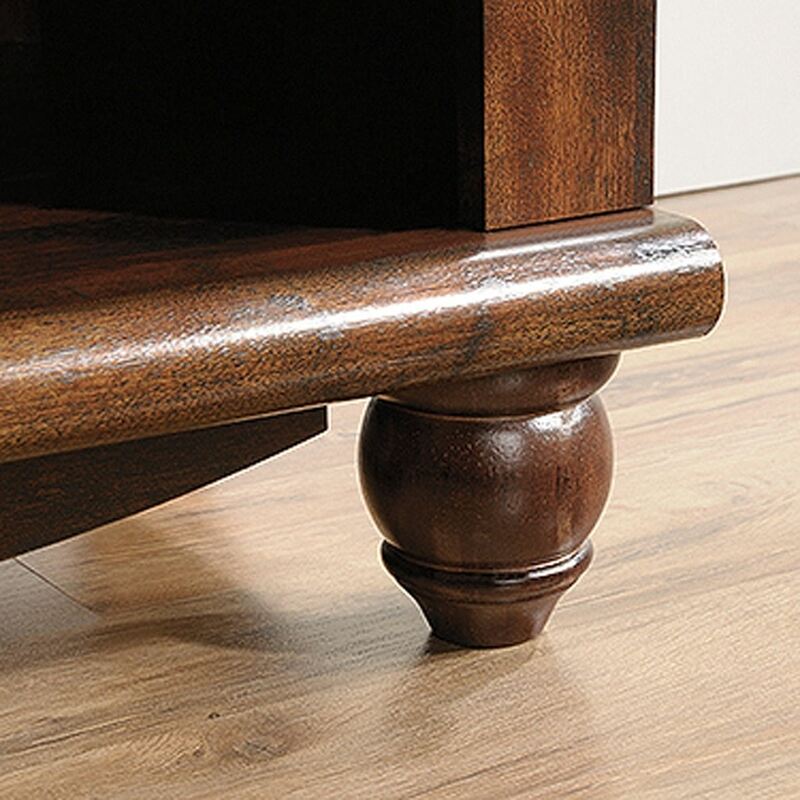 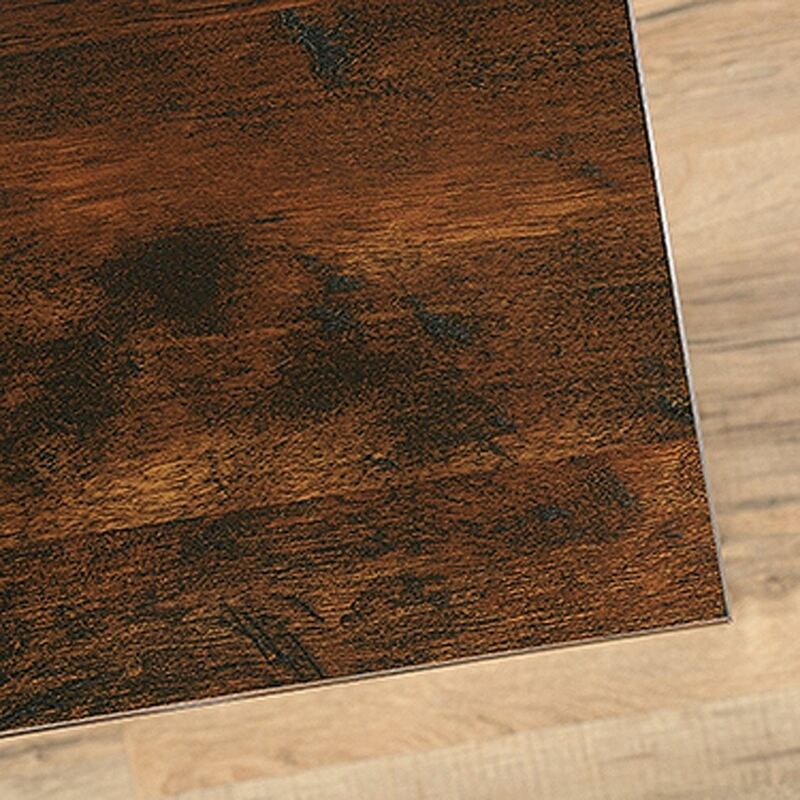 With its Curado Cherry finish, this bedside table can transform any bedroom into a coastal paradise. 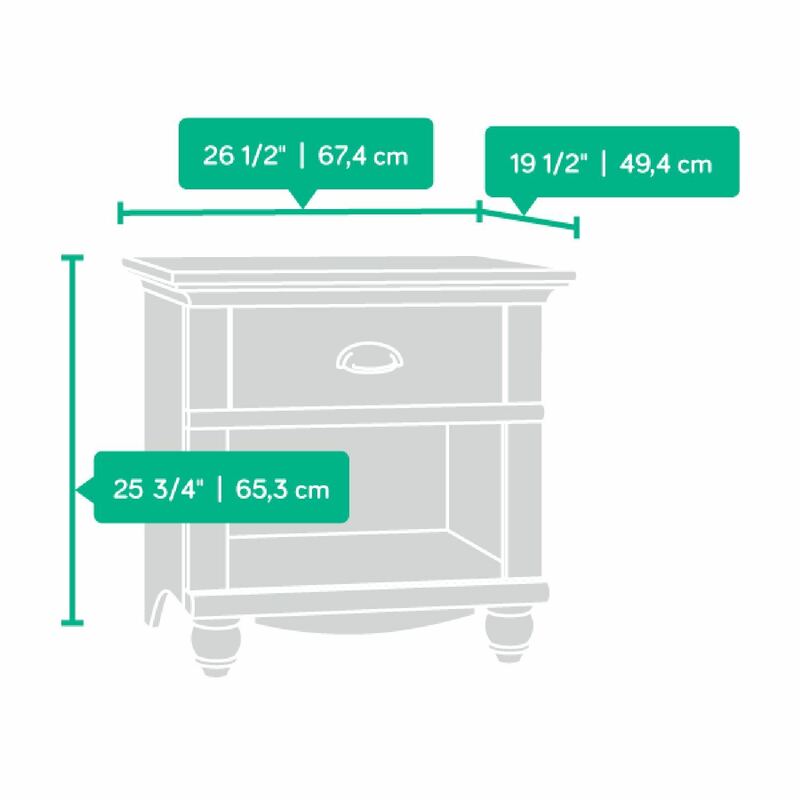 This side table features an open shelf for storage and an easy-to-access sliding drawer for storing reading glasses, TV remote and more. 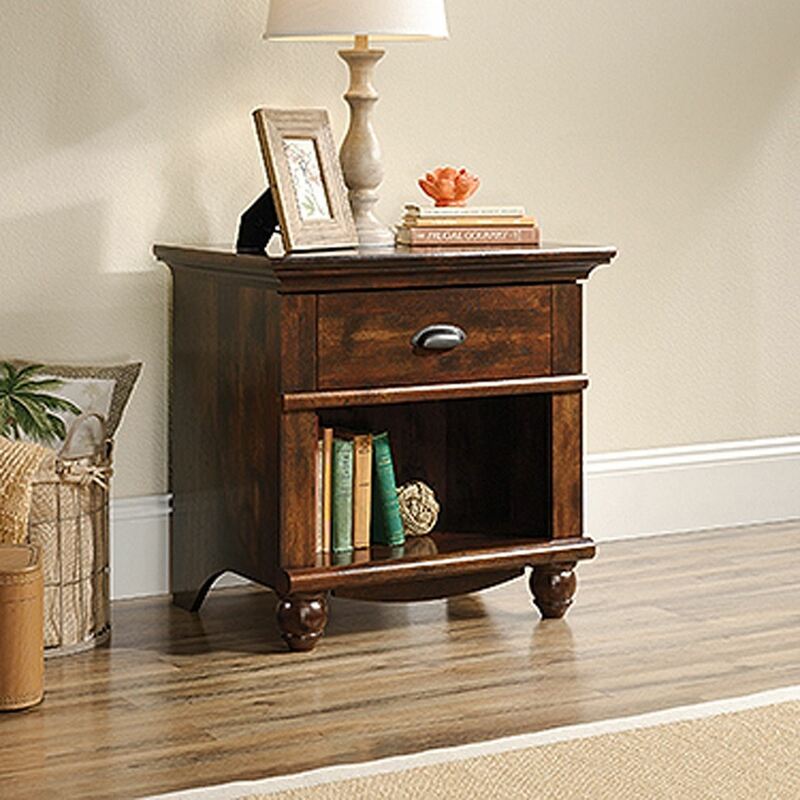 Detailed with solid wood, turned feet and weathered bin pull, this night stand is the perfect piece to make your bedroom feel like a seaside oasis.